When the weather’s cold, grey and downright miserable, it’s good to know that sunshine holidays in Canary Islands are only a few hours away - plus our value deals mean you can snap up cheap holidays to Canaries today! 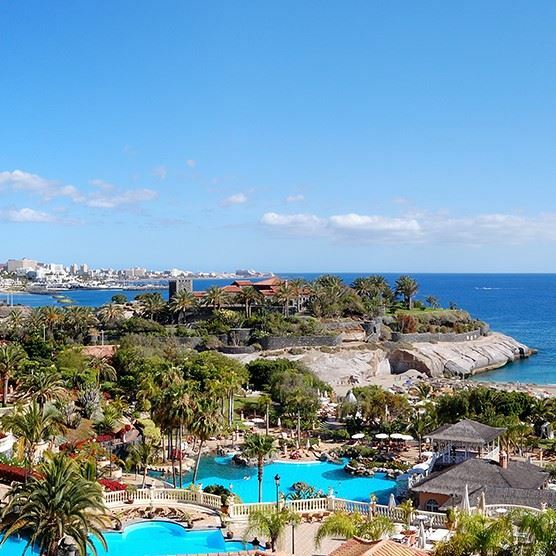 The balmy islands of Tenerife, Fuerteventura, Lanzarote and Gran Canaria are favourites for family and couples holidays, not just because of their year-round sun and fantastic hotels, but their great record on safety, too. An archipelago in Spain, the Canary Islands are generally a low risk area to travel to. And unlike mainland Spain, most of the populated areas of the Canaries are tourist resorts where crime is low and there is a good police presence. Like most of Europe, the British Foreign Office states that Spain is at potential risk of a terrorist attack. However, the risk on the Canaries is thought to be less than on the mainland as the islands are largely gun-free, airport security is tight and it’s almost impossible for boats to dock undetected. All the Canary Islands destinations are purpose-built resorts, driving is easy and the locals are used to tourists on the road. Remember to drive on the right-hand side and be aware of scooters and mopeds. If you hire one of these, ensure you wear a helmet and are confident on the roads. Beaches in the Canaries tend to be safe with lifeguards on duty, but remember waves and currents can be strong so don’t go out of your depth, and be careful when paddling with little ones. More remote waters, like the rugged west coast of Fuerteventura, should be avoided for swimming. Watersports in Canary Islands, like windsurfing and water-skiing, are plentiful and most companies are reputable, English-speaking and insured. If in doubt, ask your hotel to recommend one of the activity operators in your resort for added peace of mind. Sunburn and sunstroke are by far the most common weather-related problems, so remember to stay hydrated and wear sunscreen, even when it’s overcast outside. Dust storms are a possibility, especially in February and March, but shouldn’t be harmful if you stay inside. Tap water is generally safe to drink, but to be on the safe side most tourists stick to bottled water, which tends to taste nicer anyway. The Canary Islands are famous for their black, volcanic sands, but although they are a chain of volcanic islands the last eruption in Tenerife was 2 – 3 million years ago, so there is no need to worry on that score! British nationals don’t need a visa to visit the Canary Islands. Passports should be valid for the entire length of your stay. No vaccinations are needed for your holiday in the Canaries, however, if you have specific medical issue make sure you visit your GP 4 – 6 weeks before travel. Make sure your party all have valid EHIC health insurance cards before you travel. This service is available free of charge so don’t fall for websites who charge a fee. The EHIC card is not a replacement for travel insurance, but is necessary for emergency medical treatment abroad. In an emergency, call 112. Adequate travel insurance is a must for cancelled flights, losses, theft and damage to property and any medical problems that may arise during your stay. These days, many insurance policies don’t include gadgets such as tablets and mobile phones, so if this is important to you, make sure yours does! Most of the Canary Islands are safe and well-populated, even at night, but use common sense and don’t stray into deserted areas on your own. Although the crime rate is low, petty thefts do occur so make sure you use your hotel safe and don’t leave valuables unattended by the pool or on the beach. Be extra vigilant with your passport and money when out and about too, particularly when passing through the airport. Holidays in Playa de las Americas in Tenerife and holidays in Playa del Ingles in Gran Canaria are quite lively, with alcohol flowing freely and cheaply. The busiest late-night drinking areas have a good police presence, especially in the summer. Construction work is still a common sight on the island, so make sure children stay well clear of building sites. All police are uniformed, travel in marked cars and will produce id when asked, so don’t stop if flagged down when driving unless the person fits the bill! Licensed taxis are cheap and plentiful across the islands, but if in doubt, ask your hotel to call you one. The Canary Islands have strict drug laws where even possession of a small amount can lead to arrest. The legal drinking age is 18, although you can drink wine and beer if accompanied by your parents from the age of 16. Drinking in public areas is illegal.